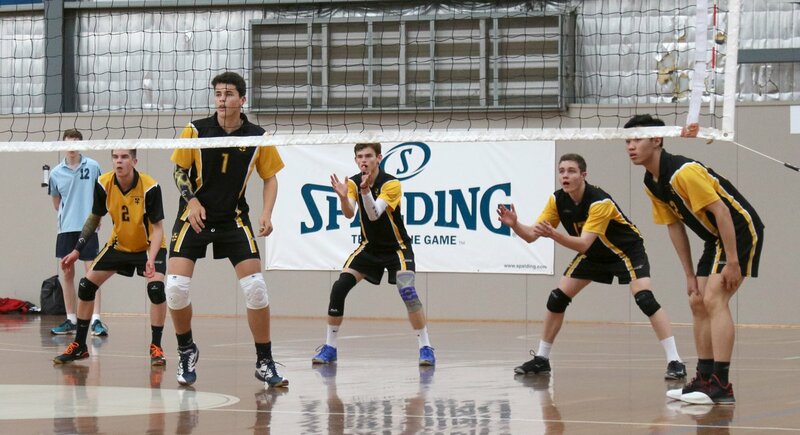 Sydney Grammar School competed at the Australian Volleyball School Championships in Melbourne last December. Our senior team consisting of Charles Evans (captain), Brandon Chong, James Gao, Finn Parker, William Zhang (all OS 2018), Jared Adams, Mikey Grogan, Peter Taurian, Hugh Lam (all Form VI) and Marcus Allan (Form V), performed competitively. Faced with a difficult first pool round, the boys put up a convincing challenge. We finished a respectable 15th placing in the Year 12 Division 1. Our junior team consisting of Oliver Duncan, Luc Jeffriess (both Form IV), James Castle, Nick Coren, Malachy Kalowski, Alex Lawson, Thomas Potter, Ravin Ratnayake, Robert Russell, Kieran Webb (all Form III) was the youngest team we have fielded for Nationals. Competing in Year 9 Division 2, the boys experienced a steep learning curve. The team’s competitive skills and volleyball knowledge improved significantly. They will help to provide Grammar with a firm footing at future National Championships. Congratulations to Mikey Grogan who has been invited to attend the AIS Junior Men’s Volleyball Camp in Canberra this summer.